Armorama :: Ok, what's up with the Forums? Ok, what's up with the Forums? I posted this over at the Kitmaker site, but now I can't get back there at all. When I hit the "latest posts" button, I get a blank screen with gray bars. Early I noted that a few others had commented on my post, saying they'd had similar problems. Moderators-- what's going on? Is this related to the earlier problem where nothing was showing except the topic titles? It works for me so it must be something that is different between your browser and mine, my internet connection and yours, my nearest server and yours et.c. Maybe something with the selection of ads that Google deems fit to serve you versus me? Timing and load, when are you awake and using the forums versus my hours? Have you tried cleaning out your cache in case it is something lingering from the earlier disturbance? I get the same thing here; blank screen with one gray bar. Hope it gets sorted soon. The forum page is taking forever to load. The site takes so long to load as to be nearly unusable! 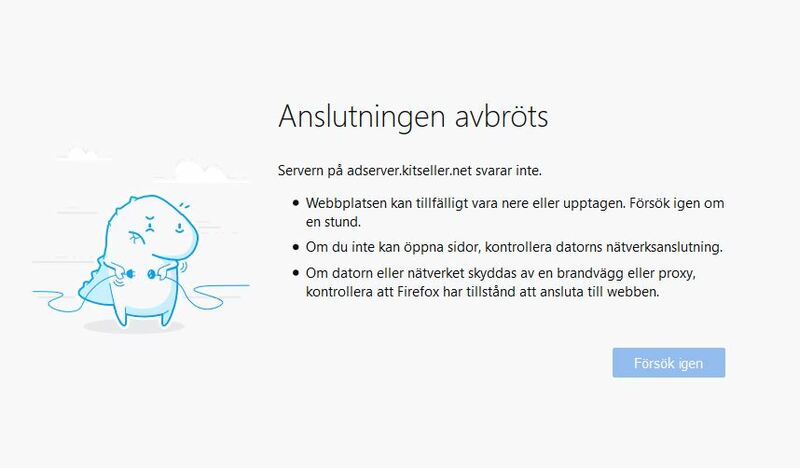 The mad swede broke the internet again. I can't access the posts from the latest posts button. It is OK when I use the main forum page then the subsections. Yep, I don't think it's on my end, since so many folks are having the same problem, both here in the US and in France. I've gotten the same response to my similar question over on Kitmaker Network, from other folks there as well. Something is definitely up with the system-- for my it's been three days on non-access to the Forums through "Latest Posts". I've been in/out of about 4 different the Forums for about 30 minutes now and haven't had a problem, so maybe the problem is resolved?? Only furthers my contention that the web runs via FM. Yup, now seeing the problem here, can't access latest posts on either PC or Android. Everything was working fine a couple hours ago and now nada. This is different from having an account shut down. By the way, Robin Nilsson and I were just PM'ing each other regarding this issue, and I found the PM message board is also affected, I couldn't read his message-- (but could see there was one there) until I clicked on the word "advertisement" within the PM block. Hopefully Jim Starkweather is aware of all this. I am still having the same problem with the PM board but everything else seems to be back up to normal. Jim has corrected the issue and everything should now be fine; I am no longer having the issue. The problem still affects the PM's. When I read one of the PM's from Russ I used the "trick" to click on the 'Advertisement'-link. My conclusion is that the problems are connected to how ads are selected, delivered and presented. I have experienced delays before and observed that the browser is waiting for google-ads something or other. What language is that? Elvish? Or did a cat walk across the keyboard? Seriously, glad it's fixed, it was getting annoying. Swedish I bet, since Robin resides in Stockholm. Yes, I've suddenly got the same message (but in English) on my end. I also use Firefox. The Forums seem to be working now, but the PMs are still broken. Be glad it's on your fathers side. I had an step-aunt who was part troll. She'd give you a hug and you'd get head to toe third degree whisker burn. It finally straightened out for me today,finally. As of Sunday morning 9am my PM's are still not working. Apparently whatever I send seems to get through. However while I am receiving replies there is no content within those replies received. Hit the word "advertisement" on the right hand side of the block, and the words will come up. But mine seems to be working as of 0826 PST. My power on the other hand is another manner, as those of us in the Puget Sound region of Washington state have been hit with a winter blast from the Northwest Territories, and close to a foot of snow, with another 8" expected before Tuesday, and we are experiencing massive power outages due to falling trees, so many (including me) have been without power for a day or more, and hence without Internet. First the Forums, then the PMs, now the Internet-- I think I'm just going to go shovel snow! I copied and sent my earlier PM again. stay warm man, one of the neighbor kids shoveled a path to my porch and cleaned it off for me. Currently can't tell my truck from my woodpile everything is under 8 inches of white crap. Most snow we've seen up here at one time in more than a decade and more is on the way. Patrick, I will-- so far so good. We have nearly 11" down here in GH. Problem is, all the fir and maple trees are cracking off and screwing up the power lines. I've seen heavy snow like this before here, but not coming in repeated shots. My internet (and power) has been ok now since 0700 PST, but I suspect it wont last-- I just checked the PM board, and all seems to be working now. Funny how dependent we are on electricity. Last night we all sat around by candlelight trying to figure out what the pioneers did for entertainment at night! Unfortunately, the weather is so bad that the largest model show in the NW might be cancelled next weekend (at the MoF in Seattle). We're waiting to see.